Tyrone's disciplinary board has announced that they will be taking no further action over injuries suffered by Sean Cavanagh in a club game last weekend. 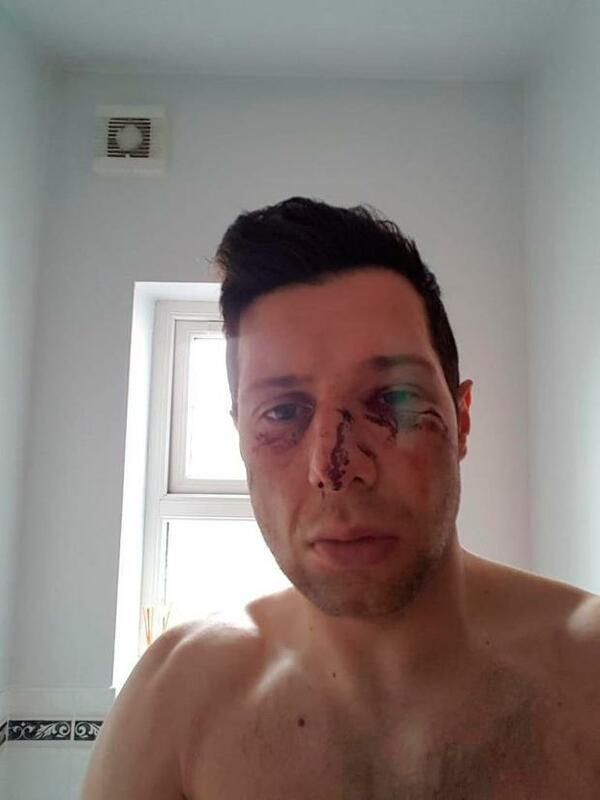 Cavanagh had suffered serious head injuries in a Tyrone championship club game between Moy and Edendork last Sunday. The former Tyrone captain was taken directly to hospital at half-time with a broken nose and concussion as a result of a clash with an Edendork player. The Tyrone Competitions Control Committee has now said that they will take no action against any players involved after reviewing footage of the incident. The Committee was also happy that referee Kieran Eanetta had a 'clear view' of the collision. "Tyrone GAA has now completed its investigation into the incident during the course of the senior football championship fixture - Edendork vs Moy - in which Sean Cavanagh incurred a serious head injury," the statement read. 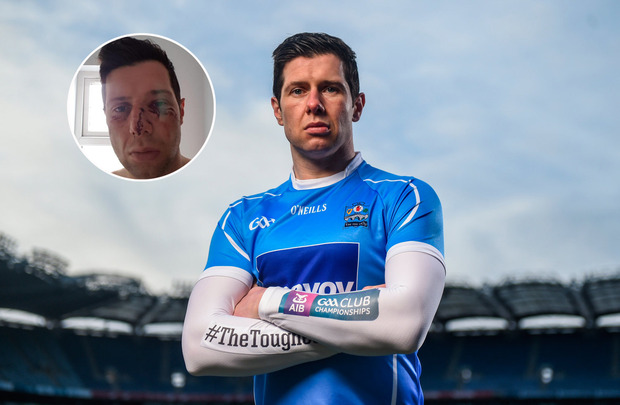 Sean Cavanagh shows the scars of battle which saw him being taken to hospital. "The Tyrone Competitions Control Committee (CCC), on request, considered the referee's report of the game and viewed a video recording of the incident in which Sean was injured. "The CCC was satisfied that the referee was well-positioned, in clear view of the incident, and adjudicated on the matter appropriately. "Tyrone GAA takes the opportunity, again, to wish its former senior football team captain, Sean Cavanagh, a speedy recovery from the injury that he sustained." Meanwhile Edendork have threatened legal action over the coverage of the incident in a statement released today. The Tyrone club claimed there had been a "trial by media" in the coverage of the incident, and reiterated that there had been no indication that the collision was anything other than accidental. The statement read: "We as a club would like to advise that we have been deeply disappointed by the aspersions cast upon our players and club in respect of this incident. It is quite clear that a blind trial by media has occurred in relation to this matter, causing the individual player and the Club a great deal of vexation. "It should be noted that this was a collision that occurred during the course of play and in plain view of the referee and match officials whilst the ball was in play. No sanction or disciplinary action ensued at that time. "Edendork GAC would like to state firmly that it is the opinion of the Club and individual player that this was an accidental and unfortunate collision and we hold any suggestion to the contrary as being defamatory. "The Club wishes to add that they are gravely disappointed by any media publication linking this incident to an overarching suggestion of an endemic problem of violence in Tyrone football. "The Club warns that the individual player and club are taking legal advice in respect of comments published on social media inferring and expressly stating that this was a deliberate act. The Club and individual player will meet any inferred or express statement with the robustness required to ensure that the Club and player’s reputations are protected. "The player involved states resolutely that this was not an intentional or malicious act but an accident. We as a Club support this position and ask that people take a few moments to think before casting any insult or contempt towards the individual player or the Club. "We hope this draws a line under what was a competitive encounter on Saturday against Moy GFC and emphasise that we hope to see Sean back playing for his club as soon as possible."